The review of a controversial Brooklyn detective's casework has led to yet another conviction being wiped out. Brooklyn District Attorney Kenneth Thompson announced on Tuesday afternoon his office will ask a judge to vacate the manslaughter conviction of 58-year-old Vanessa Gathers, who served 10 years in prison for her alleged role in the 1991 murder of an elderly man in Brooklyn. Gathers, who was released from prison in 2007, had initially confessed to the police that she had been one of two women who had assaulted and robbed 71-year-old Michael Shaw in his apartment. But she later said the confession had been coerced, and she maintained her innocence throughout her initial trial and during her years behind bars. 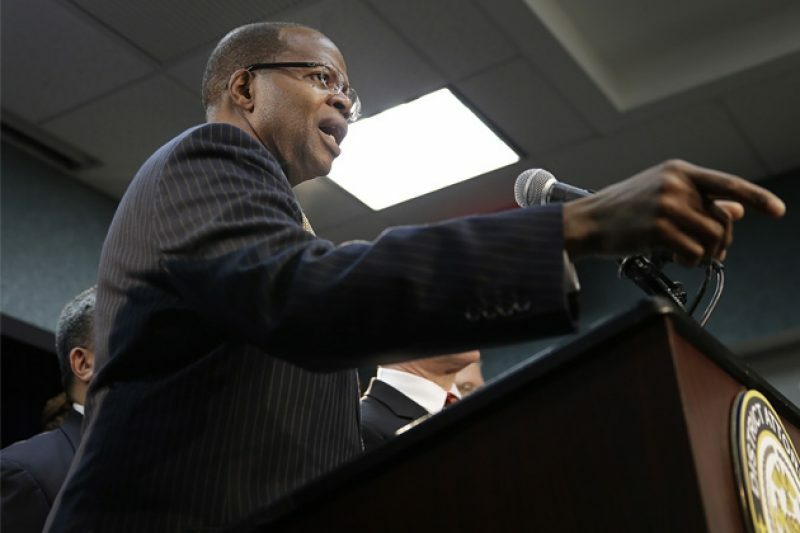 Thompson said his Conviction Review Unit had re-examined the evidence against Gathers and concluded that her confession was indeed false. The detective who took Gathers’ confession was Louis Scarcella, the retired New York Police Department investigator whose work has been the focus of a long and intense review by prosecutors and judges in Brooklyn. Since 2013, eight people who accused Scarcella of misconduct have won their freedom or had their convictions wiped out. All of those cases were prosecuted under the leadership of Thompson’s predecessor, Charles J. Hynes. Reached by telephone, Scarcella declined comment. He directed all questions to his attorney, Alan Abramson. Today, Gathers lives in Queens, and up until two years ago she had worked for an executive coaching firm. She is expected to be in court Tuesday for a hearing before Judge Matthew D’Emic in State Supreme Court in Brooklyn. Lawyers for Gathers had argued for years that the case against her had been manufactured. They claimed that a videotape of her confession shows Scarcella all but scripting her words. They found that a lie detector test Gathers took was inconclusive, but that Scarcella had lied to her when he said she had failed it. Her lawyers claimed to have turned up evidence that the police had a number of other suspects in the killing but had never aggressively pursued them. The lawyers made their case before the Brooklyn District Attorney’s conviction review unit, a special team of prosecutors charged with re-examining cases in which innocent people might have been wrongfully sent to prison. When questions first surfaced about Scarcella’s career, the office ordered that at least 50 of his homicide cases be reviewed. The roots of Gathers’ ordeal trace to Nov. 18, 1991, and an apartment building in Crown Heights. That morning, Shaw was found in his ground-floor apartment by two of his daughters, bleeding from the head and drifting in and out of consciousness. He told them that he’d been robbed and beaten by three women the night before. He was taken to a hospital, where he fell into a coma. He died five months later in April 1992. Scarcella began his investigation shortly thereafter. Gathers, according to her lawyers, knew Scarcella. She bumped into him on the street not long after Shaw perished. She told him that a neighborhood woman had told her she’d been involved in the attack on Shaw. 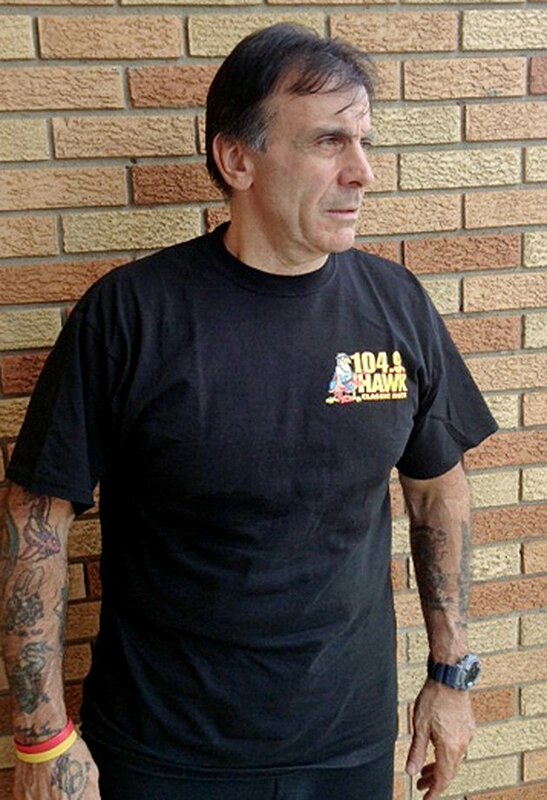 Scarcella subsequently spoke to the woman, but she denied any involvement in the crime and implicated three other people. She made no mention of Gathers. Scarcella, then working in one of the highest crime areas in Brooklyn, dropped the case and moved on. It is unclear why, but five years later Scarcella renewed his interest in the case and again interviewed Gathers. She agreed to tell him what she knew, her lawyers say. Scarcella took her to the Brooklyn District Attorney’s office, where the lawyers say Scarcella proceeded to manipulate her over the course of a four-hour interrogation. According to her lawyers, Scarcella told Gathers he had a witness who said she was there the night Shaw was attacked. He said he had forensic evidence implicating her. He suggested that while she may not have struck the man, she certainly witnessed it. He told her that if she just admitted that she was present that night and she and her friend intended to rob, not hurt Shaw, she’d be free to go. If she did not, he’d put her in jail. Finally, Gathers’ lawyers say, she consented to Scarcella’s version of the events. She signed a sworn statement that Scarcella wrote out for her, saying that she went with the neighborhood woman to Shaw’s apartment, saw the woman beat Shaw with a cane, and that she personally took $60 from his pocket. Immediately afterward, Scarcella and the prosecutor assigned to the case, Jonathan Roberts, turned on a video camera to record Gathers’ confession. Gathers was arrested. Scarcella went back to find the woman Gathers had identified as the assailant. According to Gathers’ lawyers, the woman, when confronted, changed her story several times, eventually telling Scarcella and members of the district attorney’s office that she was there at the time of the robbery, but that only Gathers entered the apartment to rob him. That woman was never charged. Gathers pleaded not guilty and went to trial. Assistant District Attorney Hilda Mortensen presented the state’s case. She sought a second degree murder charge as her top count. She presented Shaw’s daughter and caretaker as witnesses, neither of whom was present for the attack, and neither of whom placed Gathers at the scene. The prosecutor also had a number of police officers testify, including one who gathered fingerprints. None of the fingerprints matched Gathers’. Ultimately, the confession was the lynchpin of Mortensen’s case. She played it for the courtroom and had Scarcella and Roberts testify to its veracity. Gathers was the only witness called by the defense. She took the stand and recanted her confession. She said she’d been fed details by Scarcella. After she was found guilty of manslaughter, she wrote the judge, expressing sympathy for the victim’s family, but maintaining her innocence. Gathers served 10 years, mostly at Bayview Correctional Facility, a medium-security prison for women in the Chelsea section of Manhattan. At a parole hearing partway through her sentence, Gathers again maintained her innocence, likely damaging her chances of an early release. In 2001 she lost an appeal in which she argued, among other things, that her confession had been coerced. Finally, she got out of prison in 2007. Her case did not resurface until 2013, when the review of Scarcella’s cases was ordered. The New York Legal Aid Society represented defendants in 20 of those cases, including Gathers’. The organization agreed to take part in the review. As part of that effort, Legal Aid collaborated with the Manhattan firm Hughes Hubbard & Reed. In the years since, lawyers at both institutions dug up evidence seeming to shed doubt on Gathers’ guilt. The lawyers did not respond to calls for comment. It is unclear whether Gathers will file a lawsuit seeking compensation for her time in prison. They claim to have found that Scarcella never had a witness placing Gathers at the scene, as he had told her during his questioning; that he had no damning forensic evidence; and that the lie detector test came back inconclusive, when he told her she failed it. The confession itself conflicted with several facts the attorneys discovered: Gathers said Shaw was in a wheelchair; he did not have one. Gathers said she stole $60 dollars from him; Shaw’s daughter said it was unlikely he had any money on him the night he was killed. Before he died, Shaw told his daughters three women attacked him; Gathers said she was one of only two assailants. Gathers said she hit Shaw with a wooden cane; the cane admitted into evidence at trial was made of metal. Beyond the particulars of Gathers’ confession, the lawyers said they also found that police identified four other plausible suspects, but that no such information was ever given to the defense. In a telephone interview, Abramson, Scarcella’s lawyer, suggested the detective was being unfairly targeted in the Gathers case as he had been in several other overturned convictions. Abramson pointed out that it was the district attorney’s call to arrest, prosecute and subsequently defend its case against Gathers, not Scarcella’s. Jonathan Roberts, the Brooklyn prosecutor allegedly present for the videotaped confession, no longer works for the Brooklyn District Attorney’s office. Reached by telephone, he said he could not remember the case and declined to comment. The judge who presided over the original trial, George E. Wade, died in 2003. Hilda Mortensen continues to work for the district attorney. A spokesman for the office would not make her available for an interview.